Men's Esperanza watch, 39 mm stainless steel case, matte black Museum dial with raised lacquer-finish outer ring, and silver-toned dot and hands, stainless steel free-falling bracelet design with signature open vertical links and push-button deployment clasp. 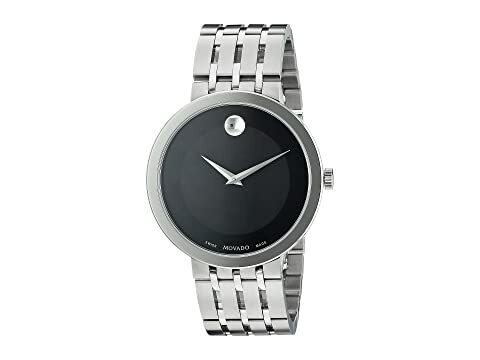 We can't currently find any similar items for the Esperanza - 0607057 by Movado. Sorry!